Piggybacking on our Summer Party Ideas post we wanted to continue this theme with a focus on birthday parties for your little ones. We all know that parties can get a little pricey; all of those random supplies begin to add up and before you know it you're spending more than you ever imagined. So we are here to help and offer some fun DIY ideas for your next party that is sure to be a hit and keep your budget down. Feed all of the hungry little caterpillars at your party with this adorably easy sandwich display. Just make various types of sandwiches, cut them into circle shapes and arrange as so, and use various veggies to create the caterpillars head and feet. Recreate these cute little bug hats at your child's birthday party. All you need is some construction paper, black pipe cleaners, puffy balls, scissors and hot glue. Let the little ones creativity soar as they have tons of fun making their very own version of a bug hat by encouraging them to add wings, spider legs, or multiple eyes. With some parchment paper, long black paper, and yellow duct tape you can recreate this adorable tablescape. Add some paint chips, toys construction vehicles, and plastic hard hats for the perfect picturesque birthday bash. Create an adorable construction inspired dessert table display with these free printable signs from Birthday Express. With just a printer, some scissors, and mini orange cones this easy DIY birthday craft is sure to make a memorable party! To attached your newly cut construction signs to the mini orange cones all you have to do is slice a slit across the top with an exacto blade. Make these rad strongman dumbbells out of marshmallows by dipping them in chocolate. After they are dry add some numbers on them with some white frosting and add them to two ends of a striped paper straw. Get this adorable set of geo circus inspired pritables from Tinyme! This rad website is full of something beautiful inspirational crafts, printables, and graphics. This is an easy and fun way to add some cute decor to your next circus party. We know it’s no secret that we love a good craft and in case you didn’t know we’re also huge Star War geeks, so what could be better than mixing the two? Nothing, duh! So now that we have all that established it is time to plan out your crafting Star Wars watching marathon. How fun would these cardboard Landspeeders be for your little ones to sit and enjoy the movie? Create your very own drive-in with these adorable hovercrafts. With come cardboard, tape, a glue gun, paint, and lots of crafting fun your kid’s imagination will soar. Check out the full tutorial here. Put your kid’s toy lightsabers to good use with this DIY Death Star piñata. Enjoy transforming a premade baseball or soccer ball piñata with some paint and paper to create this iconic Star Wars symbol. We love a good DIY craft that utilizes all of those seemingly useless toilet paper rolls around the house. Now add in color paper, scissors, glue, tape, a hole punch, and lots of imagination. Get creative and have fun with it! 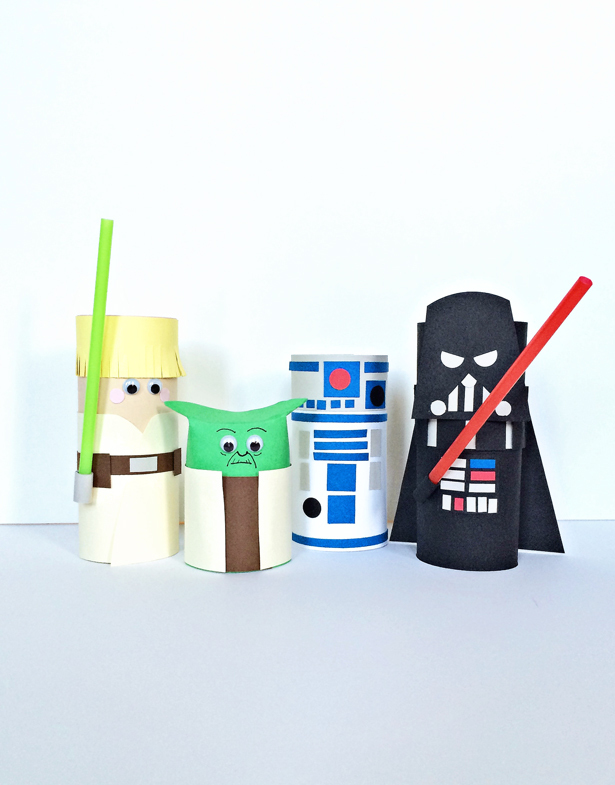 Grab other random supplies from around the house and encourage your kids to use their creativity to create their favorite Star Wars character or even have them imagine their own. Here are some deliciously adorable Star Wars inspired snacks that will perfect for eating during your movie marathon night. Being a parent has to be one of the toughest jobs imaginable. Not only do you have a little human who is depending on you for everything from food, shelter, warmth, and love, but it is also up to you to raise them, shape, and mold your minis into wonderful, thoughtful, and responsible human-beings. Sound like an impossible task? Well, we are here to provide tips and thoughtful insights to help you not just survive parenthood, but to help you and your kiddos thrive! Stress is something that we all face, and it's a feeling that none of us enjoy. As parents we want to protect our children and provide/create the best lives for them, but lately this goal has meant that many moms and dads are coddling their little ones to safeguard them from ever experiencing stress. While it's natural to feel this way, stress is something that every single one of us will eventually face, and increasingly we age and our responsibilities grow. Trying to prevent your kids from ever experiencing stress isn't going to prepare them for real life. If we give our children more responsibility, enforce chores, and set expectations it is only going to help them learn to properly handle stress as they get older. It's a vital skill that we all need to learn and preparing your kids early is going to allow them to learn how to handle stress and not feel overwhelmed or lost. An easy way to start is to create regular chores for your children at any age. Even at two years young, your little ones can begin to assist in setting the table (with some child friendly tableware of course). Setting expectation in your child's life will help them to be prepared for handling responsibility. One easy example to begin with is explaining to your child that it is their job to clean up their toys every time they play with them. If you would like some helpful tips on how to "Keep House With Little Ones" check out our past blog post. Between the temper tantrums, broken dishes, burnt dinner, messy home, and a biting toddler it's hard not to get into a downward spiral of self doubt. It's so easy to look past all of the positives and only focus on the negatives in our lives. This tendency is such a shame, there's so much to be thankful for that is constantly overlooked. It's time that we shift our perspective and learn to recognize all of our little successes throughout the day, because it's all of those small achievements that collectively create a fulfilling life. Even if it's just simply getting the kids dressed and to school on time or packing a homemade lunch everyone in the family you should take joy in these accomplishments. Be positive and take joy in these successful moments that occur throughout your day. Being anything less than positive teaches your children to look at life through a negative scope. Having love and support in your life is essential to thriving. Human health depends on creating connections with other human beings. Studies show that our health (both mental and physical) suffers when we are isolated from human interactions. Social isolation can lead to huge health problems like high blood pressure, obesity, depression, decreased immunity, etc. Sounds pretty scary huh? If you feel like you are home alone all day with the kids or stuck doing household chores, we have a few tips to help you find your much needed support system. Other parents are feeling the exact same way you are and are looking for people they can lean on. All you need to do is find them! Get out of your comfort zone and join a mommy and me or MOPS group, venture off to your local library for story time, or take a trip to your local park with your little ones to find another parent you can connect with. Facebook is also a great resource for finding groups in your area with similar interests. Joining a church, or getting more involved if you already have one, is another wonderful way to find a support group. Support systems are about more than just increasing the amount of adult interactions you have throughout the week; it's about having someone to turn to when you need some extra encouragement. Talking about your struggles and venting is something that you simply can't do with your kids. There are times when you need to invite someone over for a glass of wine to talk about something other than Sesame Street, and to connecting over the struggles of parenting and the joys of watching your child grow. Creating a support system is vital to thriving through parenthood. Let's face it, some days are tougher than others. We have all faced times when it seems like the whole world is against you; nothing seems to be going right, and you just can't find a single moment in the day to take a break from it all. Do yourself a favor and simply tell your kids that you need some quiet time. It's perfectly okay to tell your little ones to quietly play with their legos for fifteen minutes while you drink your coffee in the other room. Enforcing daily "quiet times" is one of the best things you can do for yourself as a parent. Taking fifteen minutes to recharge will not only put you in a better mood but will help you to be more present when that quiet time is over. Everyone has their own ways for surviving parenthood, whether it's turning on the television to avoid break downs or making mac and cheese for the third day in a row, we are all just doing our best! The thing that matters most is the love you have for you children and showing them just how much they mean to you. Life isn't perfect, parenthood will be full of bumps, hills, and even mountains that you need to get over... but in the end there are really few jobs that are better than this one. 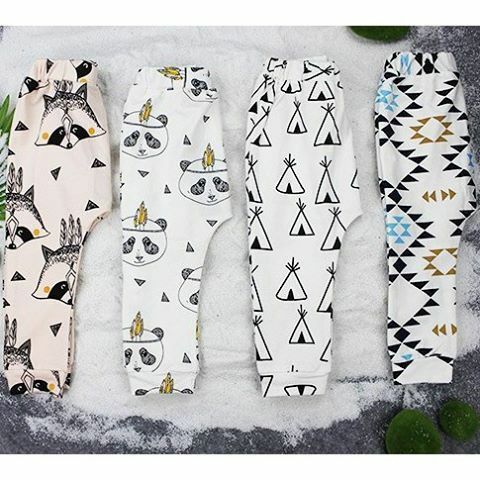 Kid Clothes That Are Hipper Than Yours! 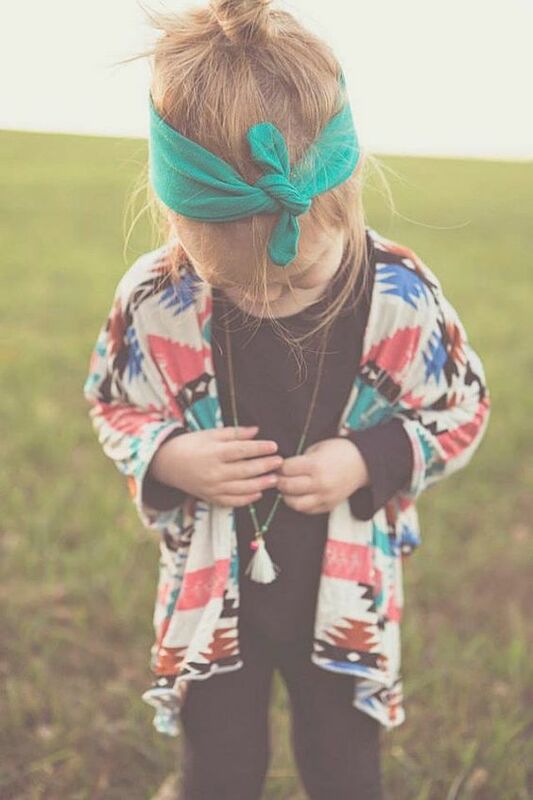 Now, we know that in real life your kiddos won't always be all dolled up. But, who among us can resist admiring these adorable outfits? And, who knows, maybe you'll get some birthday gifting inspiration...or some ideas for your own next outfit! Scroll down for maximum cuteness! We've talked before on CIF about New Year's Resolutions and how implementing a technology detox was a goal for this year. Now we want to talk about the reasons why it's important to cut back on social media use, plus some helpful tips on how to actually do it! Most of us like to believe that we are great at multitasking. We can parent, respond to a work email, watch some tv, and catch on our news feeds all at the same time and, oh have dinner coking on the stove as well! But the hard truth is that successful multitasking is a myth. Multitasking is just switching between tasks rapidly, and it actually it increases stress and affects the quality of the tasks that we do finish. And I don't know about you, but I certainly don't want the quality of my parenting to be anything less than my absolute best. So now that the reality check has settled in, it's time to look more into how I can improve as a parent and how much social media is actually hindering our lives. After reading this eye opening article on Parenting.com, I have come to the sad realization that I spend way too much time caring about what others think. I, like many others, am obsessed with capturing that perfect image. Whether it's capturing my kids in a perfectly adorable shot, or that precisely-placed meal I just prepped, I would stand there snapping away and adjusting the shot until I got it to that "post worthy" image. And, of course, it's only natural to tailor your news feed so that all of your friends and family can see all of the lovely, brag-worthy, highlights of your life. But, when we communicate with each other this way, it creates a misconception that everyone's lives are better than our own; picture perfect, and flawless. I know, saying it out loud makes that idea sounds crazy, but if you don't take a step back to check in with your thoughts, it's very easy to caught up in comparison trap & forget reality. The comparison trap I'm talking about might look something like this: you cook a nice meal (in a time crunch) for your family, but when you check your news feed, you see a beautiful & elaborate dish that some other mother made for her family. You might then make comparisons and start to feel like you aren't good enough...but the truth is that gorgeous meal probably has a kitchen full of mess to go with it! I'm here to tell you that social media isn't real life, and it isn't the full picture. Nobody is perfect, everyone struggles, has flaws, and bad days but no one posts about any of that. And why would you? It's nice to showcase your good days & your beautiful children, but lately it seems like we all do it just a little too often. Speaking of children, it's also important that we consider how our social media habits might impact them. Did you know that 32% of parents have deleted a previous social media post about their child in realization that it was oversharing? Detoxing from technology and social media to create real memories with our loved ones can teach us to live in the moment, and to have improved perspective into our own lives. I want to enjoy every second I have with my children, and I am careful now to avoid constantly interrupting those family moments to snap a shot. Turn off notification alerts. These alerts bring attention away from whatever is going on in that moment and draws your attention to your phone. It's only natural to then pick up your phone and investigate, so by turning these notifications off you will now only notice any unread comments or messages when you choose to. Create time for social media. This may seem like an contradiction to everything I've been talking about in this post, but creating scheduled time for social media throughout the day means that you can 100% commit the rest of your time to your family, work, and yourself without constant media distractions. Remember: multitasking is just a myth. Use a printed cookbook or print out a recipe you found online, then log off. If you look it up on your phone, you may be tempted to take a few seconds to check Facebook or Instagram...and then spend far more time than you really wanted to. Limit your posts. If you are a posting fanatic, commit to a new goal of only allowing yourself to post once per day, or maybe even once a week. This way you have to really take the time to reflect on the favorite part of your day or the highlight of the week. Ask your kids if they are okay with you posting something involving them before you post. This will create an open and honest conversation about what they are comfortable with others knowing, and allows them to create their own boundaries of what they feel is acceptable. Have any hot tips of your own? Please share them with us!